As you plan your October schedule, I wanted to share some dates for you to consider adding to your calendar. Â Â Â Â Â Â Â Â Last month, the Governor's Commission on Government Reform and Restructuring unveiled a draft proposal to privatize Virginia's state-run Alcoholic Beverage Control (ABC) stores. Â The plan, which was presented by a subcommittee, received mixed reaction from Virginians and from the press. Â Based on what I've read about it and the conversations I've had so far with constituents, the plan appears to need additional work. Â Â Â Â Â Â Â Â I understand that on October 4, the full Commission will take a vote on the ABC proposal to send it to Governor Bob McDonnell for his action. Â The updated proposal will be made available after October 4 at www.reform.virginia.gov. Â Â Â Â Â Â Â Â If the Governor decides to pursue this plan legislatively, he may call the General Assembly into a special session sometime in November or perhaps bring this to our next regular session in January. Â Â Â Â Â Â Â Â If you are unable to attend either meeting, please send me your thoughts by calling (703) 350-3911 or emailing me at DelMKeam@house.virginia.gov. Â Â Â Â Â Â Â Â While the liquor store issue will likely be the main topic of discussion at these meetings, I certainly welcome your thoughts, comments or questions on any other topic you want to raise, so please feel free to discuss any issue you might have. Â We plan to have representatives from key state agencies there as well as from local public officials so that you can get an answer at the meeting. Â Â Â Â Â Â Â Â To RSVP for either (or both!) meeting, please contact my assistant at Julia@MarkKeam.com. 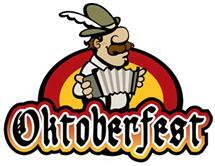 Â Â Â Â Â Â Â Â Tomorrow, Saturday, October 2, from 11 am to 7 pm, the Town of Vienna and Vienna-Tysons Regional Chamber of Commerce will host the third annual Oktoberfest. Â Â Â Â Â Â Â Â Along with Viva! Vienna! which takes place each May, Oktoberfest is a great opportunity for the entire community to gather along historic Church Street in the heart of the Town to celebrate and enjoyÂ theÂ music, arts, food and the volunteers that makes Vienna such a great community. Â Â Â Â Â Â Â Â Oktoberfest offers something for everyone in the family so bring the kids.Â Invite your neighbors and friends as well to enjoy what promises to be a beautiful day to be outdoors. Â And every dollar you spend there will help support charities and small businesses that are critical to our local economy. Â Â Â Â Â Â Â Â I'll be there from the start of the festivities, volunteering at the water/soda vending booth (I wasn't lucky enough to be assigned to the beer tent!!). Â Please stop by and say hi. Â Â Â Â Â Â Â Â Next year, one of the most important legislative developments will involve redistricting, which the state is required to do every decade following the census count. Â The lines that the General Assembly will draw around your homeÂ will determine who your representatives will be in the federal, state and local governments. Â Â Â Â Â Â Â Â I support taking politics and partisanship out of the redistricting process, and allowing the most objective and legitimate standards to determine the district boundaries of every elected office. Â I have said on many occasions that in a democracy, voters should choose their leaders, not the other way around. Â Â Â Â Â Â Â Â To explain the process of redistricting, the Senate and House Committees on Privileges and Elections will hold separate public hearings throughout the Commonwealth. Â Unfortunately, the two chambers decided to not hold joint hearings, which would have been more efficient. Â Â Â Â Â Â Â Â Finally, on Saturday, October 9, from 10 am to 4 pm, the Vienna Volunteer Fire Department will hold its annual open house, to help residents maintain their smoke alarms in working order and to teach what to do in case of a home fire. 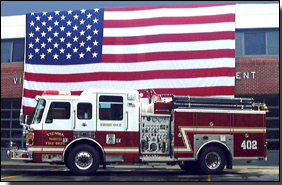 Â Â Â Â Â Â Â Â The event will include fire and rescue operational demonstrations and your chance to see fire trucks up close. Â Kids will especially enjoy the free fire helmets and balloons and the rest of us can appreciate the food and refreshments. Â Â Â Â Â Â Â Â Please stop by during the day to learn about fire safety and to thank these Vienna volunteer firefighters for all they do for us every day. Â The fire house is located at 400 Center Street, Vienna.